Earning a reputation as a versatile and dynamic soprano, Pippa is equally at home on the opera stage as she is on the concert platform. Pippa was born and grew up in Dorchester, Dorset, where she began singing and performing from a young age, and graduated with Joint Honours in Music and French from the University of Bristol. She then went on to study at the Royal Academy of Music and at the Britten Pears School, Aldeburgh. She was the First Prize winner in the Thelma King Singing Competition. 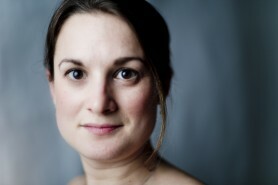 Pippa’s operatic engagements have included Susanna and Barbarina The Marriage of Figaro for Mid-Wales Opera; Dew Fairy and cover of Gretel, Hansel and Gretel and Papagena The Magic Flute, directed by Simon Callow, for Opera Holland Park; Gretel Hansel and Gretel for the Julita Festivale in Sweden; Emmie Albert Herring at the Snape Maltings; Flora The Knot Garden at the Montepulciano Festival; Zerlina Don Giovanni for Longborough Festival Opera; Norina Don Pasquale, Papagena The Magic Flute and Flora The Turn of the Screw, all for Opera Project. Concert highlights include New Year’s Eve Galas 2008, 2009 and 2010 with the Bath Philharmonia; A Christmas Celebration at Cadogan Hall (Royal Philharmonic Orchestra) Handel’s Dixit Dominus at St John’s Smith Square (English Baroque Choir); Bach Cantatas 105 and 182 at the Aldeburgh Proms; Bach Christmas Oratorio for Amersham Festival Singers; Charpentier’s Leçons de ténèbres at the London Handel Festival directed by Laurence Cummings; Handel’s Gloria at the Chelsea Festival (London Handel Players); Purcell The Fairy Queen at the Aldeburgh Festival conducted by Harry Bicket; a recital at the St David’s Hall, Cardiff and a Young Artist Series recital at the Cheltenham Music Festival. Pippa is also a member of Sounds Baroque, comprising young and leading period instrumentalists and chamber musicians. Pippa has recorded Cantata 80 and the Coffee Cantata for BBC Radio 3 and most recently, a new commission of the one-act opera The Widow of Ephesus by Michael Hurd. “Pippa Goss was a tour de force as the insecure adolescent daughter Flora”. “Pippa Goss deserves a special mention for an enchanting Barbarina – she’d make a fine Susanna”. Opera (The Marriage of Figaro, Threestone Opera).